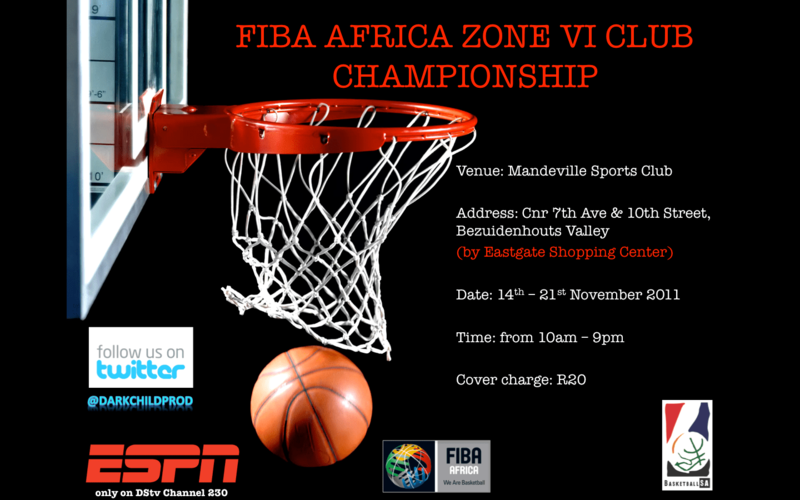 South Africa is proud to host the 2011 FIBA (Federation Internationale Basketball Association) Africa Zone VI Club Championship (sponsored by ESPN) from November 14th to 21st, 2011 at the Mandeville Sports Club (near Eastgate Shopping Center). This will also present an opportune occasion to officially launch the NBA Africa office and the introduction of BBall, a new lifestyle television show on SABC1 on Saturday afternoons. The tournament is expected to be of highest level,featuring some of the major African basketball clubs namely; Maxaquene and Deportivo De Maputo of Mozambique, Angolan Petro De Luanda and Primeiro De Agosto; currently holding the record of 14 national titles in the Angolan Pro-league and 7 African Club Championship titles. Mzansi will be represented by Soweto Wildcats aptly lead by the formidable Quentin Denyssen and TsakaniNgobeni, who are set to bring the element of surprise to this high level basketball profession. The feature match will commence at the Mandeville Sports Club at 19h00, Monday 14th November, where the Soweto Wildcats wil be playing against a Zambian club. ” Our patience in rebuilding the sport is starting to pay off. What a perfect relationship we have build with the SABC to contribute to the development of Basketball not only in South Africa but in SADC.TheBball Show is a necessary platform for different role players. It is for players to showcase their talent, for sponsors who associate with the game to shine, for family members, friends and loved ones to see the talent of their beloved. We are the game”, cited Basketball SA President, Mr MaleselaMaleka. Come mingle with the cream of SABC celebrities as they support their favourite initiatives. Entrance to the matches is R20 and tickets can be purchased at the Mandeville Sports Club gate throughout the tournament dates. This is good but i suggest a site dedicated to this competition be put up to keep us fans living outside SA stay abreast with news and results of our teams representing us out there. Big Up to BSA for bringing the event to Mzansi. Is Canada playing or even qualified? Is it again where only free state is not going to benefit. Like in the past you only see gauteng province and likes of mpumalanga get the higher priority in gaining experience, whereby in free state there is a lot of tallented basketball players.